Evo & Grace: The WanderLusts: Run like Blade Runner. Denis Velleneuve’s Blade Runner 2049 is everything what the hype has promised. It’s a sequel of visual sensations and ample entertainment. Thirty years after the original film, LAPD Officer K (Ryan Gosling) is a replicant blade runner who unearths a secret that could possibly commence a war in a dystopian world. 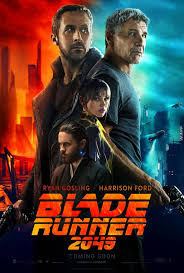 For those who failed to watch the first instalment, a “replicant” is a fictional bioengineered or biorobotic android while a “blade runner” is a police officer charged with killing, or "retiring," replicants. K discovers the remains of a pregnant replicant. His superior, Lt. Joshi (Robin Wright) instructs him to destroy all evidence related to it, including the child. This also leads him to a quest to find Rick Deckard (Harrison Ford), a blade runner missing for decades. If you are not a fan of neo-noir dystopian science fiction, watch it for its art. It’s as visually stunning as Ryan Gosling’s face. No matter how dirty and dark the setting is, the camera works of the great Roger Deakins is vibrant and enchanting. Also, watch it for its engaging storytelling, as written by Hampton Fancher and Michael Green. This film strengthens Villenueve’s mark as one of the best contemporary autuers with the successful Sicario and Arrival under his belt. Dave Bautista, Ana de Armas and Sylvia Hoeks are also part of the cast. Blade Runner 2049 is now showing on Philippine cinemas. Special Thanks to SM Cinemas.